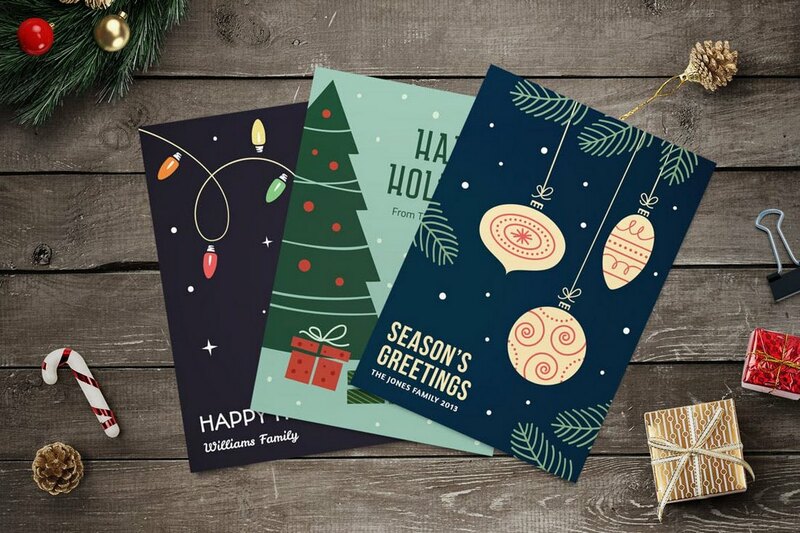 With Christmas just around the corner, it’s the time of the year to create a beautiful greeting card design for friends and family. 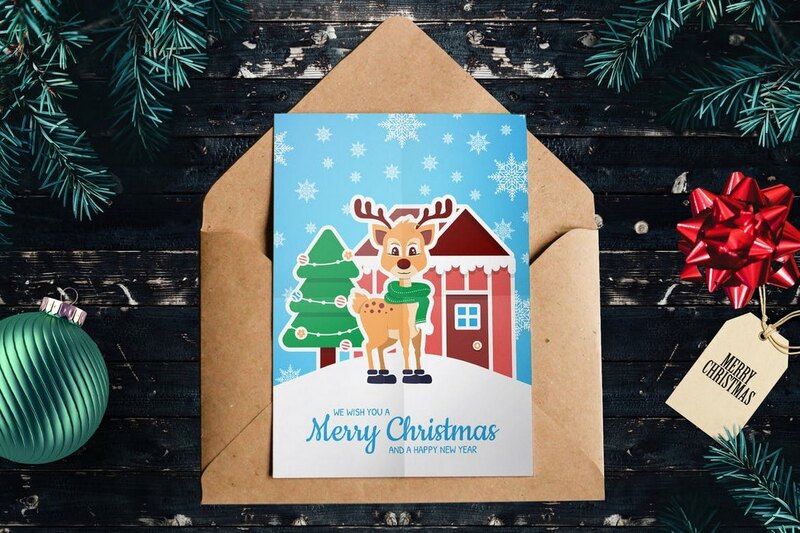 We’ve collected the perfect Christmas card templates to help you create a stunning Christmas card design in Photoshop. Most people usually just tag everyone on a Facebook post to wish them a Happy Christmas. But nothing beats a good old-fashioned Christmas card you can post to everyone to show how much you care (and appreciate the important people in your life). A thoughtful greeting card says a lot about a person! 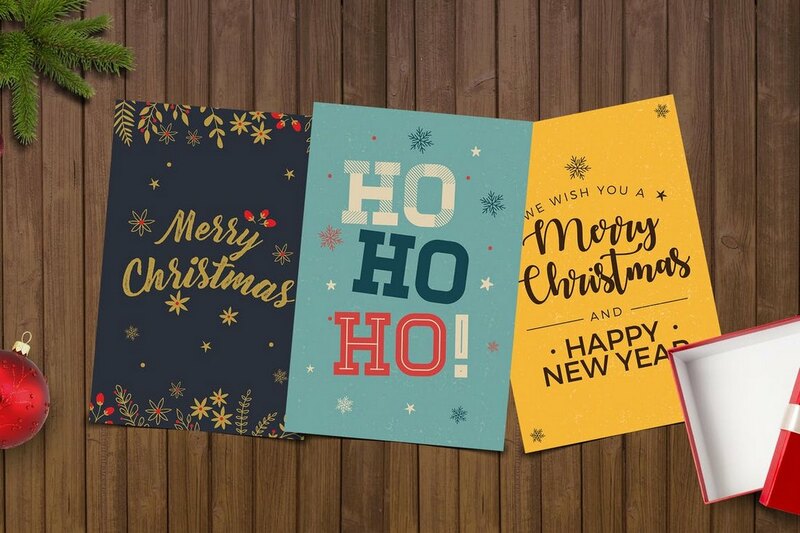 There’s no need to buy Christmas cards in bulk. 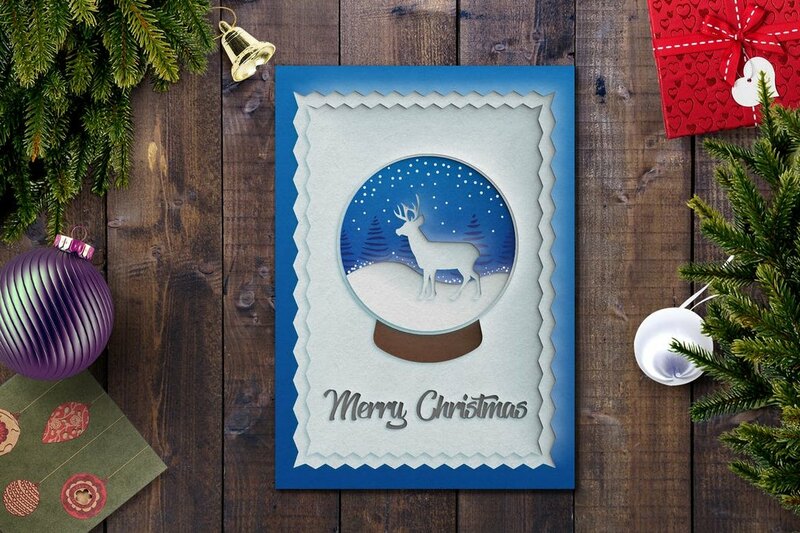 You can actually make your own using a simple Christmas card template. 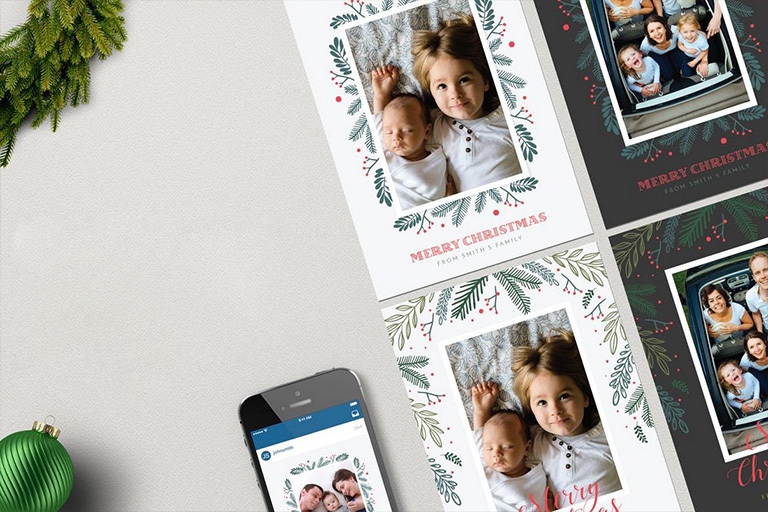 We’ve collected a bunch of amazing Christmas card templates you can easily download and customize with Photoshop to personalize the design as your own! 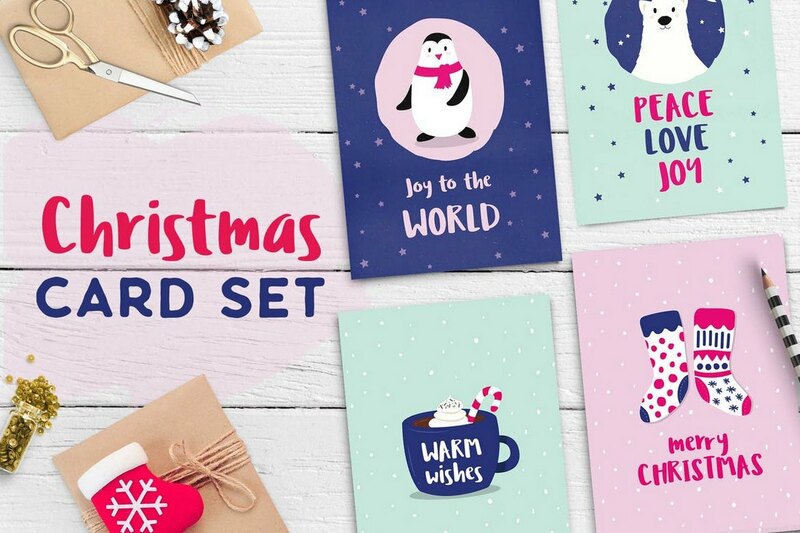 These cute and adorable Christmas cards will definitely help you create an amazing card that stands out from the crowd. The creative designs in these templates are not only colorful and beautiful but also help put a smile on your face. The bundle includes 4 different designs and comes in print-ready Photoshop and Illustrator formats. 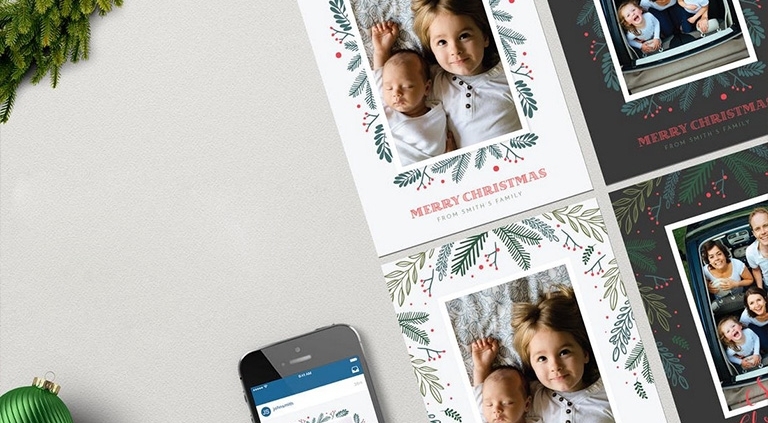 Create a more personalized Christmas card using these photo card templates. This bundle comes with 2 different Christmas card designs. You can easily add a photo of your family into the design using Photoshop smart objects and print it out in landscape or portrait layout. As a bonus, there’s also an Instagram post template as well. 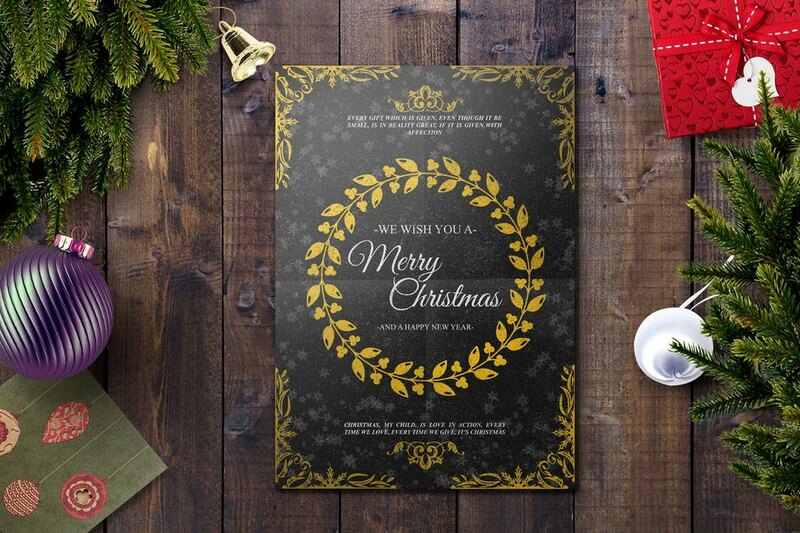 This Christmas card template features a bold and an elegant design that will surely attract anyone’s attention. It comes with a dark color theme featuring lots of Christmas-themed ornaments. You can edit the template using Photoshop and print in A4 or A5 sizes. This Christmas card is appropriate for all audiences. Which means you can send it to everyone in your family and friends. It features smart objects to let you easily customize the design, text, and colors however you like. 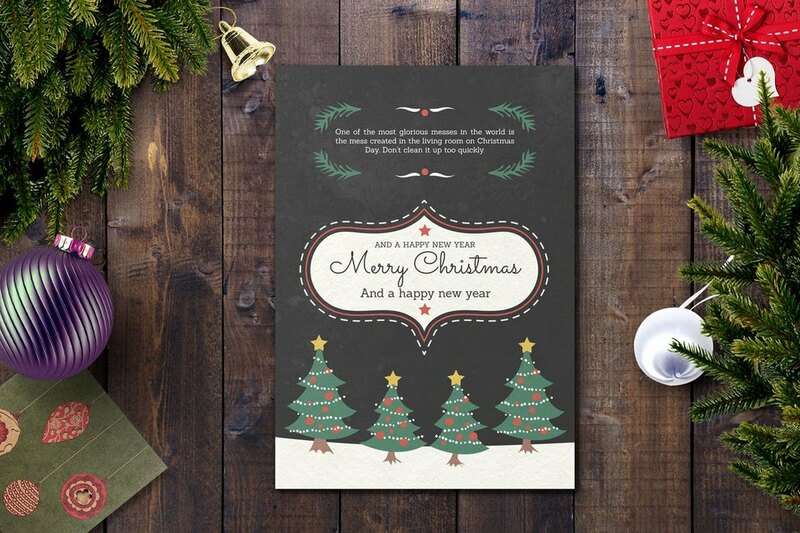 A quite an original Christmas card template that features a minimalist and a dark color theme. The minimalism certainly adds a more elegant look to this card design, making it best for sending to your co-workers, employees, and even to your boss. This template is also available in A4 and A5 sizes. The bright red and colorful design makes it certainly more attractive than most other cards. It can be easily customized with Photoshop as well. If you’re preparing to celebrate a white Christmas, this template will be perfect to spread the same feeling and the season of joy with your friends and family. It comes to you as an editable PSD file. 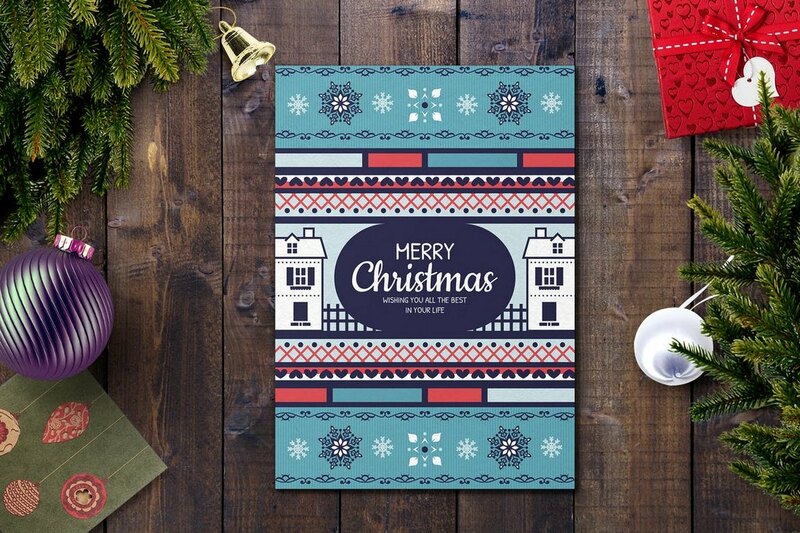 This unique Christmas card template features an attractive design that makes it almost look and feel like a design out of a Christmas sweater. It’s available as a fully layered PSD file featuring smart objects. 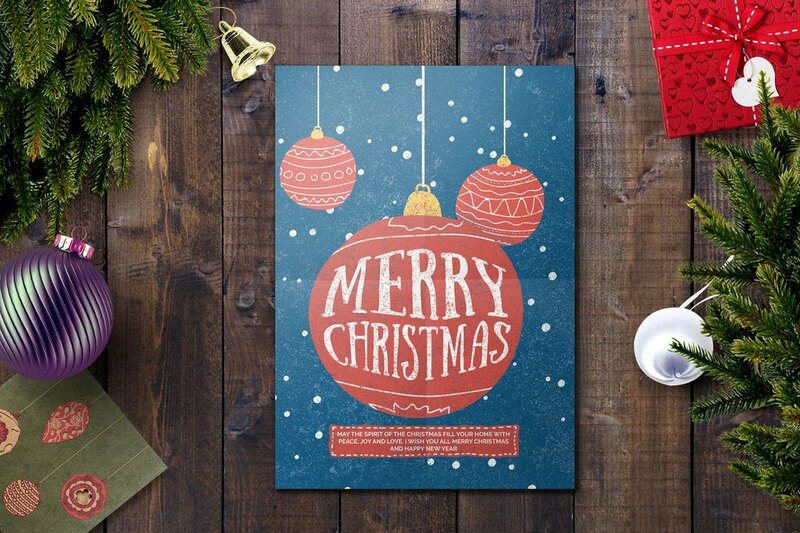 This Christmas card template will definitely grab the attention of the younger audience. 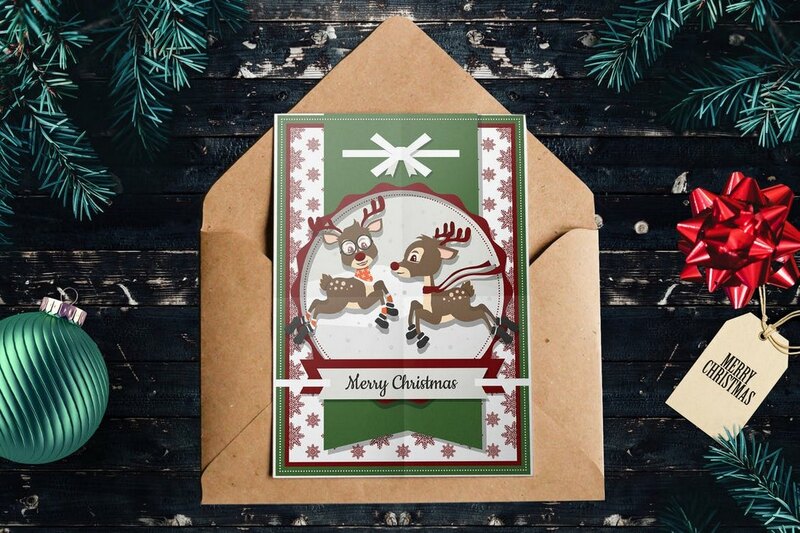 The adorable reindeers on the front give it a fun and entertaining look to the card design. 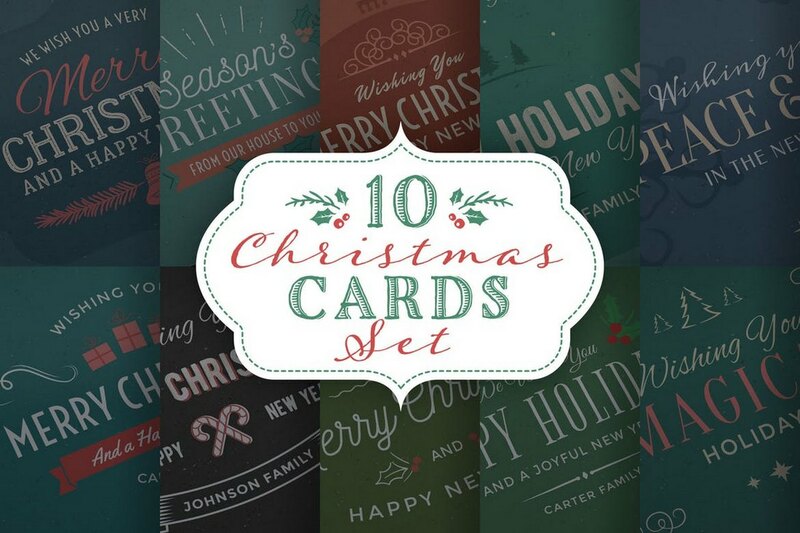 A set of minimal and simple Christmas card templates featuring different styles of designs. The templates are available in 4 x 6 size and in both Photoshop and Illustrator formats. You’ll be able to customize the design, colors, and shapes to your preference. An elegant and a beautiful Christmas card template that will make your card stand out from all the other cards out there. 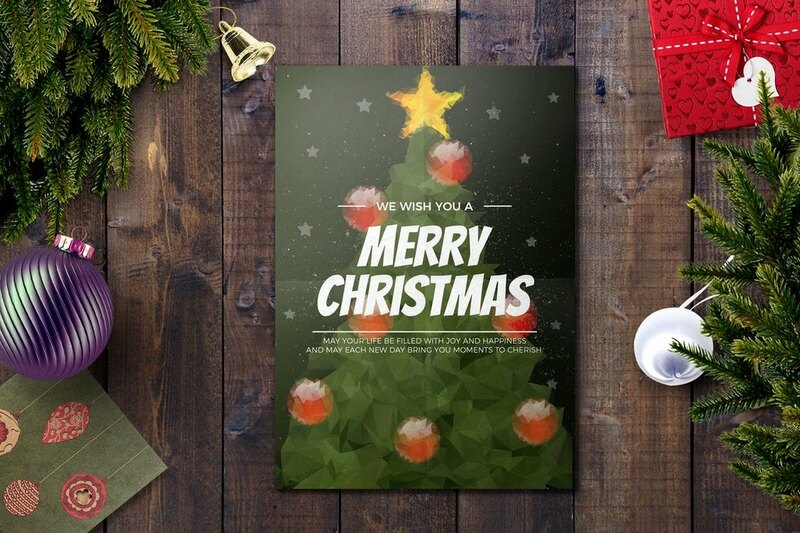 This template is perfect for sending season greetings to all kinds of audiences while also showing off class. 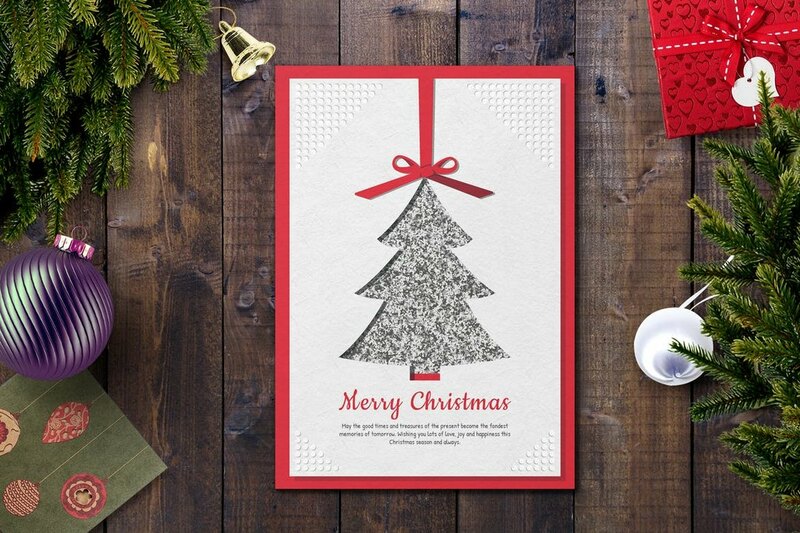 Another minimalist and creative Christmas card template that features stylish cutout design. All of the objects, shapes, and colors in the design are fully customizable with Photoshop. This pack comes with 3 different card designs featuring unique illustrations, shapes, and colors. The template can be customized with either Photoshop or Illustrator and it’s available in A5 size. 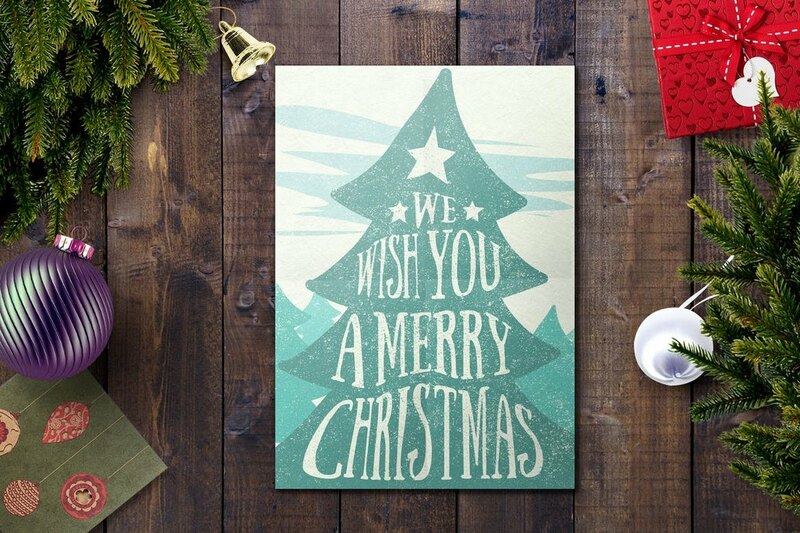 An elegant Christmas card template that features a minimal design with a creative letterpress-style illustration. The template features smart objects and available as a fully-layered PSD file. This card design comes with a modern layout featuring a creative and pixelated background. The template is easily customizable with Photoshop and it’s available in A5 and A4 sizes. 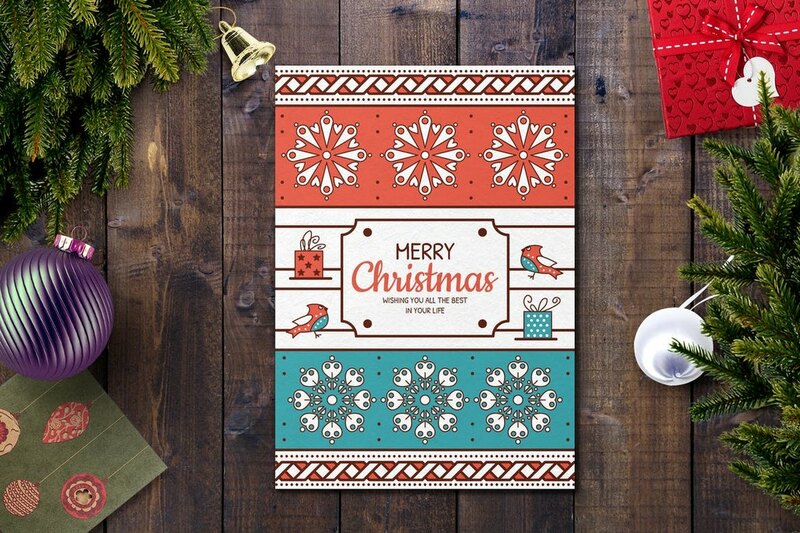 This creative and colorful Christmas card template comes with lots of Christmas-themed objects and ornaments all over its design. The template is fully customizable with Photoshop and includes free fonts. 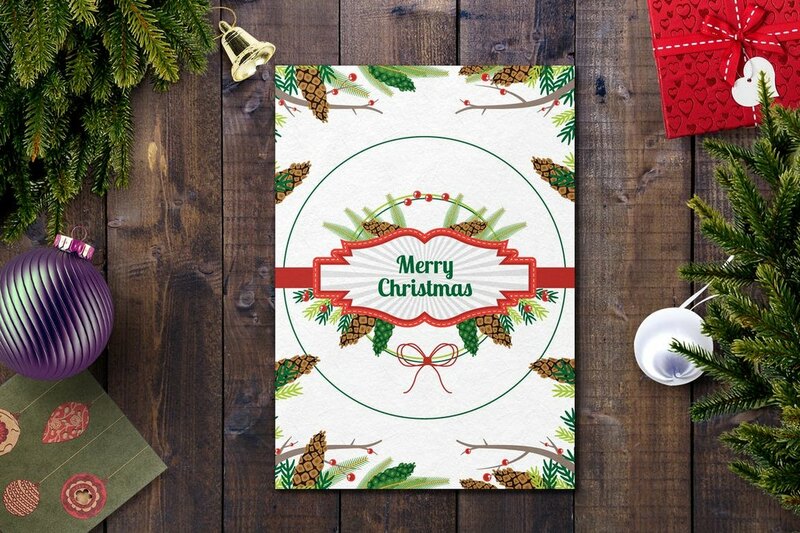 A clean and a unique Christmas card template that features an unordinary design. This template is also fully editable and comes with smart objects, free fonts, and multiple sizes. 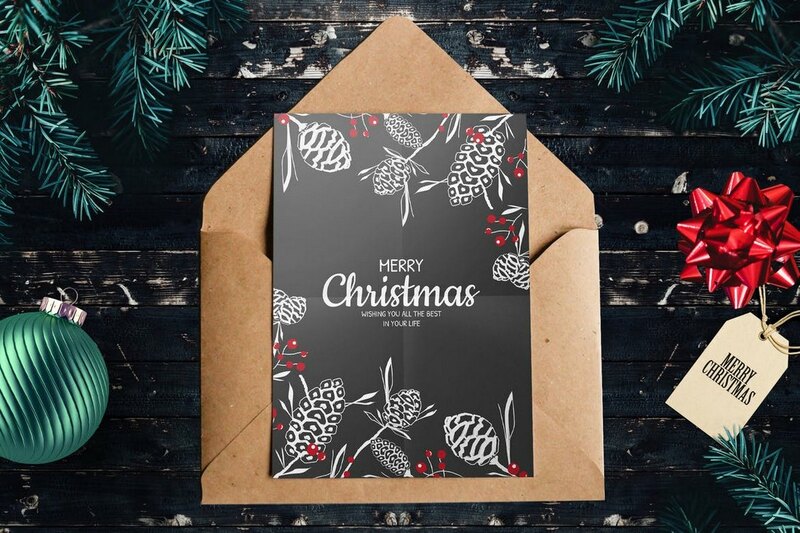 Get two birds with one stone by using this Christmas card template. This card will allow you to send greetings to both Christmas and the new year at the same time with one card. That’s smart thinking. 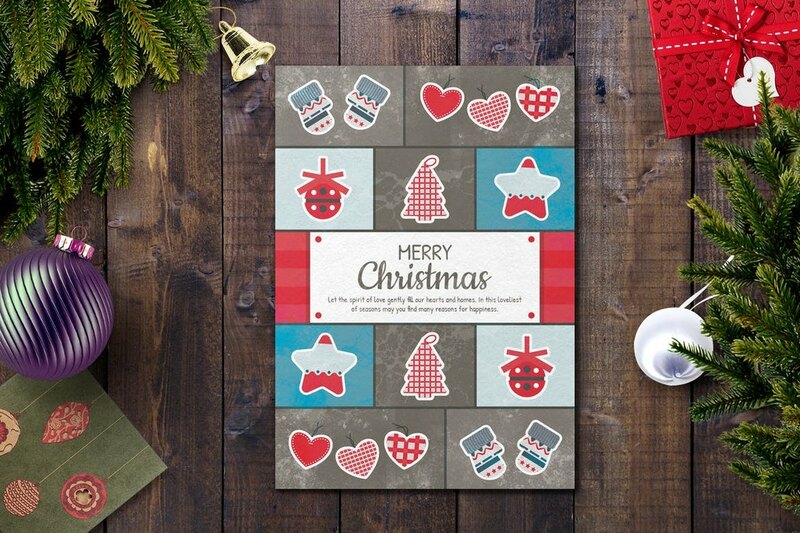 Another colorful Christmas card template featuring seasonal designs, colors, and patterns. The template is easily customizable with Photoshop and its available in A4 and A5 sizes. 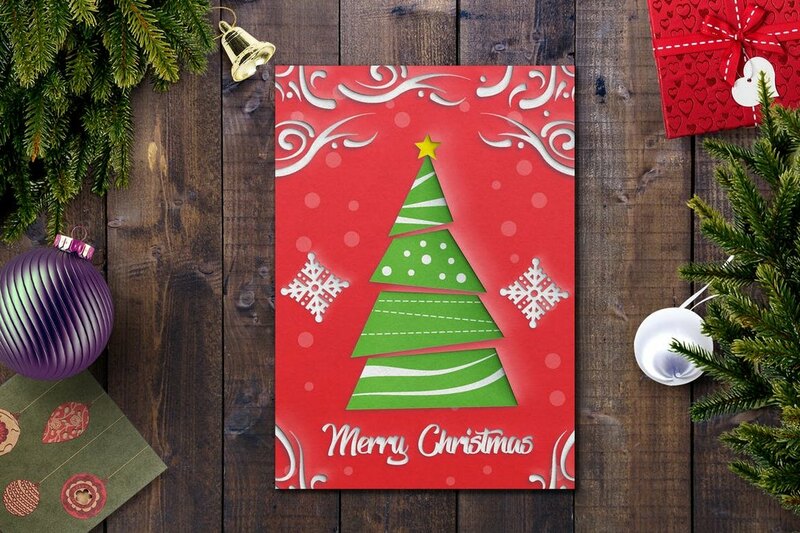 This fun and attractive Christmas card template is perfect for making cards for children. The design is simple and fun enough to attract a kid’s attention. You can edit it with Photoshop. 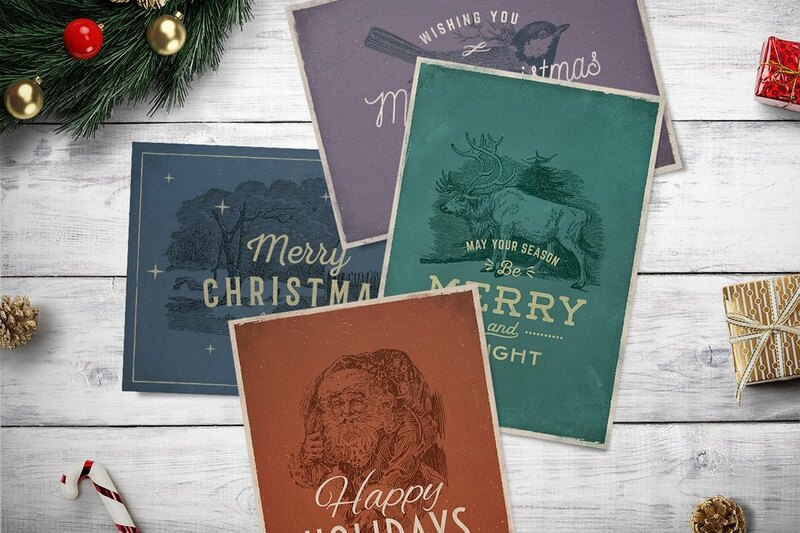 If you’re a fan of vintage designs, you can use these unique templates to create a vintage-themed Christmas card that stands out from the crowd. The bundle includes 4 different templates in editable PSD files. This is a collection of Christmas-themed designs that can be used as both Christmas-cards or backgrounds for your various other designs. It includes 10 different customizable PSD templates featuring modern designs.